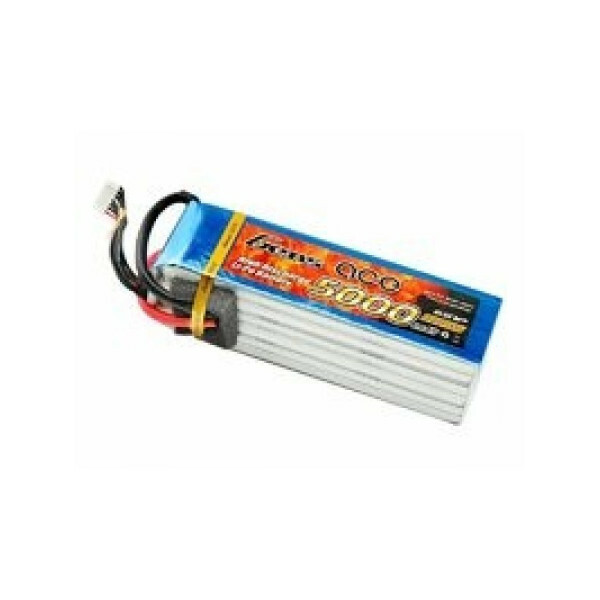 Gens Ace 5300mAh 4S 30C 14.8V Lipo battery is designed for best heli pilots, well used in all the big heli event, the true 45c rate, can provide the power all the helis needed, support all the difficult 3D movings and fastest speed, it can also used in big scale rc aircraft and rc boat, smooth power and stable, make your flight exciting and power, long cycle life ensured quality. Our Hotseller since over 7 years now, over the years we keeped developing this Battery allways to the demand of hard 3D Helicopter flying to be allways at the pulse of the Scene, and to provide the best Power to weight comparison in the market. If you want to fly hard 3D it thats the Battery to go for. Also a great choose for Bigger Sport Aerobatic and EDF Planes, if you look for high Voltage Recovery and Stability. Wingspan: 1400mm Length: 925mm Flying Weight: 625g Drive System: 2620 Brush..
With the phenomenal success of the WOT 4 Foam-e, it was only going to be a .. The Wots Wot Foam-E makes for a perfect all round sports foam aircr.. The Allrounder Technical informationField of application:F-Schlep, STOL, Wate..
Joysway Dragonfly ARTFJoysway have introduced a new class of ARTF model with the Dragonfly, the '.. This is the Electric Powered, Radio ControlledReceiver Ready Stuntmaster Airplane ..
SUKHOI SU-29MM BNF BASIC WITH SAFE TECHNOLOGY (PKZ8050).. Sport Cub BNF with AS3X® TechnologyFeaturesSpektrum DSMX® receiver with AS3X® technology, installedP.. Sport Cub PNPFeaturesPowerful 480-size, 960Kv BL outrunner motor, installed18A brushless ESC, instal..
E-FLITE T-28 TROJAN BNF BASIC (EFL4450)The original ParkZone T-28 park flyer is practically a legend..
X-UAV Sky-surfer X8 Glider (LY-S01)Features: - The wings upgrade can be removed for easy car..
Joysway Dragonfly V2 ARTF - Fly from Land or WaterThe popular Joysway Dragonfly has been upgraded to..